Although it looks like my barbwire fence antenna or a so called open beverage is working on this band I have my doubts. 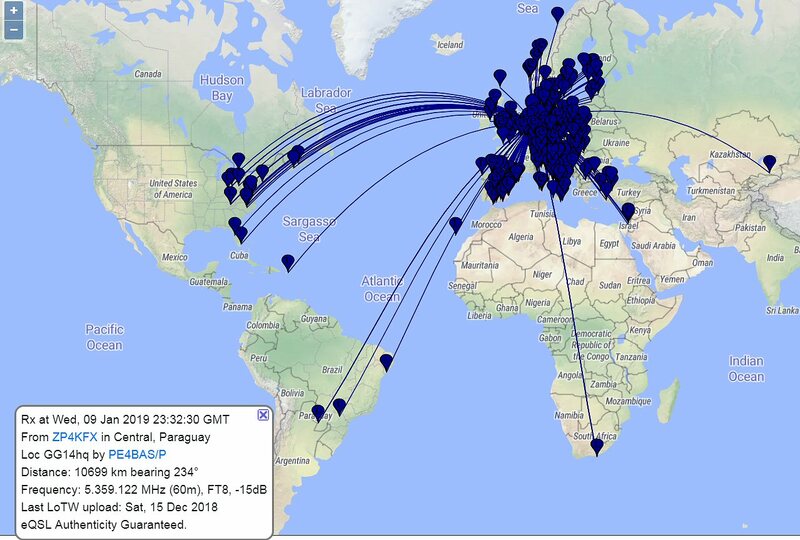 I don't think it does receive more as my inverted-V on 60m. The nice thing is that I'm able to compare with 2 digital stations available. So next experiment will be comparing my inverted-V (2x20m open line fed @12m agl) with the fence antenna. Although a beverage is directive when it is terminated to the ground with a carbon resistor at the end the fence antenna is omnidirectional. Best DX was ZP4KFX from Paraquay although I received this station as well on my inverted-V before. I monitored 5362KHz for New Zealand this morning but there were nil spots.